Tablets have become insanely intuitive with each passing years. From first generation iPad to Samsung Galaxy Note 10.1 2014 Edition, tablets are fast becoming an important part of our lives. Now a day's consumers have totally abandon desktop/laptop computers in lieu of tablets. Tablets come in variety of sizes and configurations. For instance, a basic 7-inch tablets costs as low as Rs.5000 in the Indian market, while an iPad Air with cellular connectivity (128GB) will cost you Rs.65,900. If you are new into the world of tablet devices and does not want to spend above Rs.10,000 , then definitely go for Google Nexus 7 (2012) . Since Christmas deals are available everywhere, you can still buy the best looking 7-inch Nexus 7 for as low as Rs. 9,500 in India. Recommended:Top 5 Latest Smartphones That You Shouldn't Mind Waiting For? All ways make sure to choose a tablet device based on your need and preference. If you need a tablet just to play games and browsing on the go, then look out for 7-inch form factor tablet. Talking about 7-inch form factor, did we forget to include Google Nexus 7 (2013) model. Not really? The second generation Nexus 7 is a bright tablet with Full HD resolution and incorporates a beefy quad-core processor. The Wi-Fi version will cost you as low as Rs.19,000 in India. The device is also available in 32GB version too. Aside from the Nexus 7 (2013), another 7-inch tablet is worth every buck. The tablet is made by a domestic manufacture. What's in the name? We're talking about Xolo Play Tegra Note, the latest 7-inch tablet high on gaming and note taking ability. The hot shot 7-inch tablet houses a 1.8GHz NVIDIA's Tegra 4 processor with a 72-core GeForce GPU and quad-core Cortex-A15 CPU with a fifth battery-saver core. The tablet is priced on an affordable side (Rs.17, 990), but lacks 3G connectivity. From a 7-inch tablet size to an 8-inch form factor, Apple's iPad Mini with Retina Display top our list. This year Apple introduced a second generation iPad Mini with Retina Display and A7 (64-bit) chipset. Despite having a smaller form factor, Apple managed to deliver a power packed hardware with guaranteed fun and out of the world experience. Yes, the iPad Mini with Retina Display is a bit expensive than its predecessor. Still, the device is worthy enough at a price point of Rs.28,900 (Wi-Fi). You may have come across tablets in various sizes and form factors, Apple's additive iPad is hard to ignore. Each year Apple introduces an iPad with add-on features, but never ever makes drastic design changes. In 2013, Apple launched highly coveted iPad Air with same high-resolution Retina Display and exceptional hardware specs. The 9.7-inch Apple iPad Air is the best rated tablet in the world without any doubt. 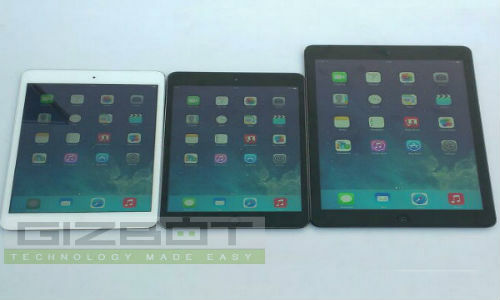 The inclusion of A7 (64-bit) chipset enhances the overall appeal of iPad Air. If you are a student or working professional, Apple iPad Air is indeed a tailor made tablet made for everyone. Last but not the least, Samsung's Galaxy Note 10.1 2014 Edition made a surprise entry into our countdown. The Galaxy Note 10.1 2013 Edition is a sophisticated tablet targeted at high-end consumers. This 10.1-inch (FHD) tablet features an Octa-Core processor coupled with 3GB RAM. The Android 4.3 Jelly Bean tablet supports Wacom digitizer that means the S Pen stylus works best with this tablet. Other than the S Pen, Samsung has added user-friendly features like Air Command and others. This fancy tablet (Rs.47,000) will likely to get praise from likes of research analysts and marketing executives of an Auto Mobile company. So which tablet device you are thinking of to buy this Christmas? Please make sure to comment on this story, your feedback is valuable to us. Stay tuned to GizBot for more juicy updates! The Nexus 7 (2013) is a second-generation 7-inch tablet jointly promoted by Google and Asus. The tablet has a 7-inch IPS display with a resolution of 1,920 x 1,200 pixels at 323 PPI. Android Jelly Bean 4.3 operating system comes out of the box. The device is powered by a 1.5GHz quad-core Qualcomm Snapdragon S4 Pro processor coupled with 2GB RAM and 16GB/32GB variants. There's a 5-megapixel rear facing camera and a 1.3-mega pixel camera on the front side of the tablet. The makers have added a 3,950mAh Li Ion battery. 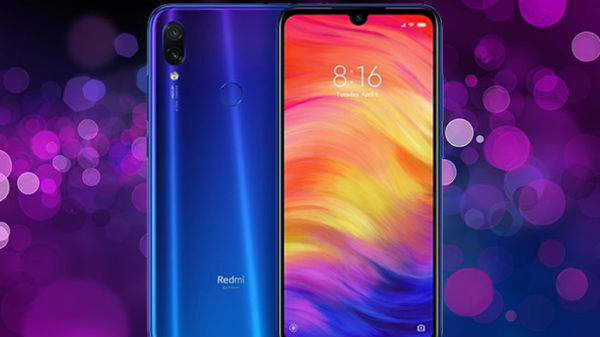 Other connectivity options include: Wi-Fi, Bluetooth 4.0, NFC, GPS, GLONASS, microUSB, and HDMI connectivity. The Xolo Play Tegra Note is based on Nvidia's Tegra Note reference design and was first announced back in September. The Xolo Play Tegra Note features a 7-inch IPS LCD touch screen display offering an HD resolution of 1280x800 pixels at 216 PPI. There's a tablet a 1.8GHz Tegra 4 processor with a 72-core GeForce GPU and quad-core Cortex-A15 CPU with a fifth battery-saver core. Android 4.2 Jelly Bean OS comes out of the box. It comes with a 5-megapixel rear camera and a front-facing VGA camera. It houses a 16GB onboard memory which is expandable up to 32GB via a microSD card. The 9.6 mm thick tablet that weighs 320 grams is powered by a 4100 mAh battery. Despite the growing dominance of Android-based tablets, the iPad maintained its aura on consumers mind. The latest iPad Air is more powerful than its predecessor and weighs 469g, making it ultra portable and light weight. With its chamfered edges, it appears that the device is a shrunken version of iPad Mini. The new iPad Air comes in Space Grey and Silver colors. 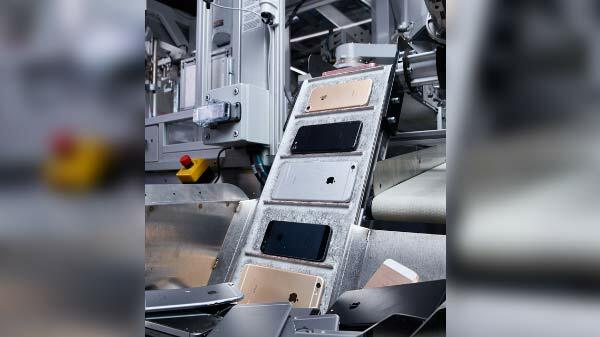 Under the hood, the iPad Air boasts of Apple A7 chipset and M7 coprocessor. Like the iPhone 5S's 64-bit PC architecture, Apple iPad Air is designed in a same manner. The iPad Air comes available in different capacities 16GB/32GB/64GB/128GB. The new iPad Air features same Retina Display quality 9.7-inch display having a resolution of 2048 x 1536 pixels. Apple has added a 5MP rear-facing camera with improved imaging optics and a 1.2MP FaceTime HD shooter with bigger sensor and dual-mics. The front-facing camera can record videos in 720p HD. Apple claims that the iPad Air can easily give a battery backup of 10 hours on a single charge. User can also go for cellular versions, though, they are priced exuberantly in India. The iPad Mini with Retina Display is a shrunken version of iPad Air. Both tablets have similar specs and features except a difference of screen sizes. Priced at Rs.28,990, you will get same high quality Retina Display (7.9-inches), A7 processor, 5MP camera and same 10 hours of battery backup. The Galaxy Note 10.1 2014 Edition features a 10.1-inch TFT LCD display offering a WQXGA resolution of 2560×1600 pixels. The device is powered by a 1.9 GHz Octa-core Exynos 5 Octa processor coupled with 3GB RAM and runs on Android Jelly Bean v4.3 with a layer of Samsung's very own TouchWiz UI. It has an 8-megapixel auto focus rear camera with LED flash which is also capable of 1080p Full HD video recording. While the front facing snapper comes with a 2-megapixel sensor, both cameras come with BSI sensors. The tablet houses an internal storage capacity of 32GB which can be further expanded up to 64GB by using microSD card. Other connectivity options include: 3G, Wi-Fi 802.11 a/b/g/n/ac (2.4 & 5 GHz), Wi-Fi Direct, AllShareCast, BT4.0, USB2.0, GPS and GLONASS.